You should never have to worry that your child will not be able to walk correctly or comfortably simply because they were born with a bone deformity or muscular issue. Our friendly and professional staff at Mill Creek Foot and Ankle have the experience necessary to help you to properly diagnose your child’s condition so that you can get the treatment that is necessary. We are also available to discuss any of your pediatric foot and ankle concerns, treatment and surgery in Issaquah. It is not only professional athletes that will experience foot pain and issues that stem from strenuous activities or injuries. If your child happens to be involved in any type of sport, there can always come a time when they develop some sort of pain, inflammation or injury due to the regular activities that they are involved in. When you come in to see us at Mill Creek Foot and Ankle Clinic, you can rest assured that we will go through a complete examination process to help get your child the treatment that he or she needs to heal properly. Whether it is an ankle issue, foot pain, walking disorder, skin condition, bone deformity or heel pain, we have the ability to pinpoint the cause. From there, we will then formulate a fully customized treatment plan for your child, always starting with the least-invasive therapies first. 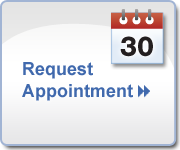 If you have any questions or you would like to set up an initial appointment, you can call us at Mill Creek Foot and Ankle Clinic at (425)482-6663. We are here for help with any pediatric foot and ankle concerns, treatment and surgery in Issaquah and we look forward to setting up a time to meet with you and your child as soon as possible.